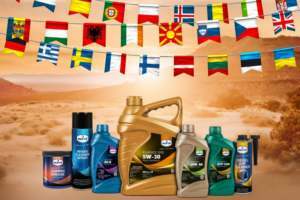 Eurol Eurax EP ISO-VG 46 | Eurol B.V.
A specially formulated industrial fluid, based on high performance base oils and selected additives for the lubrication of pneumatic tools. The high viscosity index oil provides an excellent lubrication under both low and high operating temperatures and loads. It is formulated with anti-wear and EP additives for optimum protection. Extreme Pressure additives will absorb high peak loads that can occur in pneumatic tools. The dedicated additives prevent rust and corrosion in wet conditions.